The time for telemedicine “Medicine at a distance” has finally come. Telecommunication technology has improved significantly and costs have dropped making a virtual visit with your physician a reality. Some of us who live in remote areas may have already experienced this wave of the future, and others will soon have their doctor visits through an App rather than driving to their office. All major hospitals and healthcare providers are already offering some kind of telemedicine service. In addition, there are independent services (e.g. American Well, Doctor-on-Demand, HealthTap and others) which offer live chat with a doctor anytime anywhere, for a small fee. 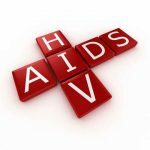 While it is true that roughly half of doctor visits require actual contact between patient and their doctor, clear communication is an important part of such an encounter, and even in the setting of a face to face visit, if the patient is not able to articulate their concerns and issues, they may go unaddressed. This becomes especially important for a telemedicine call, which may not be with one’s regular healthcare provider, because the remote provider does not have your medical history. Thus, telemedicine consultations become much more effective if the doctor has access to your full medical history when he is evaluating you. We at ZibdyHealth are working on building a perfect solution to make telemedicine visits far more effective. 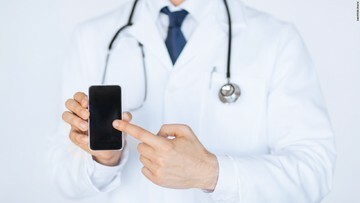 ZibdyHealth has a built in sharing feature which will let you share all or part of your medical history with any doctor anywhere regardless of what technology you are using to communicate with this doctor, whether it is an online app, video conferencing such as Skype or just a good old phone. A quick scan of your records during an e-consultation will provide tremendous insight to the physician on how to tailor his or her consultation to be useful and efficient. ZibdyHealth by itself doesn’t share any information with anyone. Our users decide what information to share and who and how much of this information they would like to share and in this case of telemedicine for how long they would like to share this information. The only thing which is more important than sharing is ability to stop sharing, and ZibdyHealth provides this capability by a single click. This allows a person to limit the sharing of their medical information for just the duration of a consultation, or for a much longer period. We have also created a free DIY tool within ZibdyHealth which can take BlueButton+ complaint continuity of care document (CCD) from any healthcare provider and upload it to their account in ZibdyHealth. It works with all top tier EMR vendors’ CCDs. Our users can then download a report as generic CCD which can then be uploaded into any EMR thereby creating a personal health information exchange (HIE). 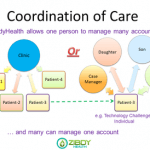 ZibdyHealth allows you to add your doctor’s ZibdyHealth account to your network as an association. Based on permissions you granted to your doctor, this will allow your doctor to see your information. The doctor can also leave messages in your NOTES section. Again, users get to decide how long a doctor has access to their medical information. So next time you are using anyone of these telemedicine video app or visit a minute-clinic at Walmart or Walgreens or CVS Health, you will be able to share your medical history along with your medication list and allergies with the doctor and stop sharing once the examination is over. Our easy to read style allows doctors to quickly scan your information and be far more effective in treating your ailment. Our user can share his or her consolidated medical records with few clicks with anyone whether they are across town or someone in Mumbai or Shanghai is looking for a second opinion for their ailment from Mayo Clinic. In summary for online and video consultations, making your information available simply and quickly is critical. ZibdyHealth can help you do this to make your consultations with physicians more effective and accurate, and best of all and it doesn’t cost anyone a dime! To learn more about ZibdyHealth watch our videos at Tutorial Videos.